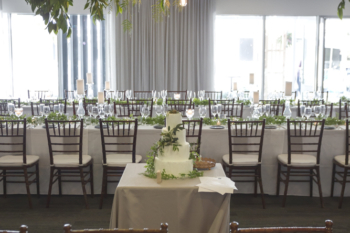 With sweeping views of the Swan River and a choice of elegant banquet and function rooms, The Tradewinds Hotel is the ideal setting for your wedding reception or special occasion. We understand how important your special day is and our talented, professional team will work with you to ensure every detail is carefully considered. 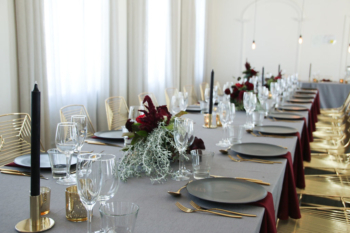 Let our Event Coordinators guide you through the planning process, providing advice on room set-up and styling, to menu choices and accommodation for your guests. We will ensure your special day is a memorable one. The Rooftop Terrace is our premier rooftop ceremony venue with stunning water views. This unique location can accommodate up to 220 guests. We understand how important a wedding is, not only to the people making the vows, but also to the wide range of family and friends who are there to share the special day with them – and that’s why it’s essential that you choose the best possible Perth wedding venue for your needs. The events team at Tradewinds Hotel will share your excitement and your vision, and will delight in assisting you to plan, manage and execute the wedding of your dreams. Conveniently located a short 30-mins from the Perth CBD and a stone’s throw from the heart of Fremantle, the Tradewinds Hotel is the ideal venue for your wedding. Choose to say ‘I do’ on our rooftop, or simply join us after you’ve signed the paperwork to eat, drink and be married – we have the flexibility, knowledge and experience to accommodate your every requirement. Our in-house capability and local know-how puts you in-touch with the best suppliers for a truly Fremantle wedding. When choosing wedding and reception venues, a deciding factor should be the quality of the staff who will be working with you to plan your big day. At the Tradewinds Hotel, our experienced team of wedding professionals will guide you through each step of the planning process, ensuring no detail is left unattended. From creating a personalised menu, to room set-up and styling and even accommodation for your guests, we will work tirelessly to craft a truly memorable wedding experience. Planning your menu is a crucial element in a successful and memorable wedding, and our Events Coordinators can help you craft the perfect food and beverage offering for your special day. From pre-ceremony canapés and champagne, to signature cocktails to kick off the celebrations and a truly sumptuous sit-down feast at the reception, our dedicated staff will ensure your guests want for nothing, from day to night. Choose between a cocktail style function so your guests can dance and mingle freely, or go all out with our banquet option. Choose from seven function rooms, from large-scale ballrooms to smaller, more intimate spaces, all featuring the Tradewinds Hotel’s signature style and modern aesthetic. Keen to wow your guests with a spectacular backdrop? Then look no further than our premier outdoor wedding, our Rooftop Terrace. The Rooftop Terrace is our premier rooftop ceremony venue with stunning water views. This unique location can accommodate up to 220 guests and will ensure your outdoor wedding is a night to remember. 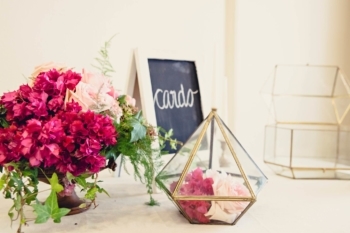 Planning a wedding in the cooler months? We have six indoor function rooms of varying sizes to choose from. Located on the second level of the hotel, the Palm Room is a versatile and stylish outdoor wedding venue. With its expansive verandas, old-world charm and stunning Swan River backdrop, the Palm Room is the ideal space for pre dinner drinks, or wedding photos at sunset. With the Swan River as your backdrop and the support of our experienced functions team, you can ensure every detail of your big day is executed flawlessly. The Heritage Room is perfect for smaller, more intimate wedding receptions and banqueting functions. Guests and attendees can step into the relaxing courtyard with spectacular Swan River views, providing the perfect space for people to enjoy a drink, mingle and chat. The Rooftop Terrace is our premier rooftop ceremony venue with stunning water views. 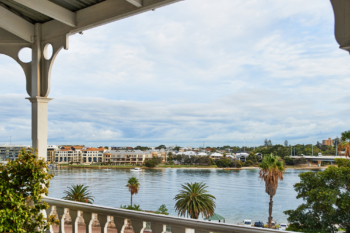 Beautifully restored and artfully styled, you and your guests will enjoy unparalleled views of the Swan River. This unique location can accommodate up to 220 guests to celebrate with you as you say ‘I do’.